A simple and sweet bracelet, this alternating heart bracelet in 14K gold from Apples of Gold Jewelry will be sure to touch her heart! 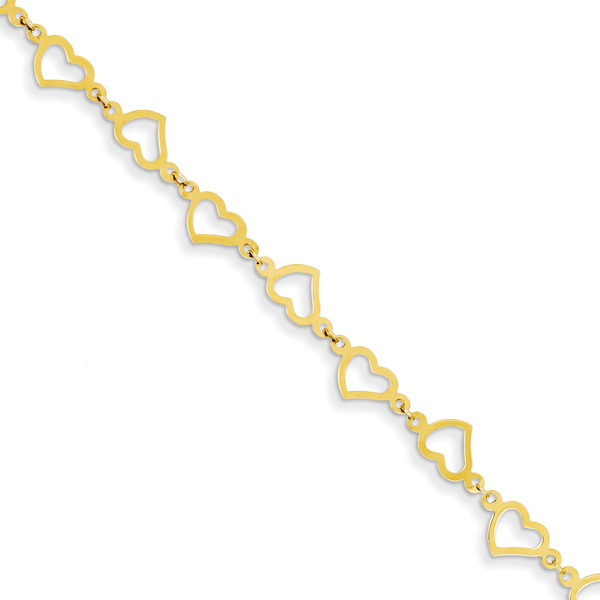 The 14K yellow gold bracelet features hearts linked together and alternating in direction - one is upside down, the next is right side up, and the pattern continues along the 7.5" length of the bracelet. 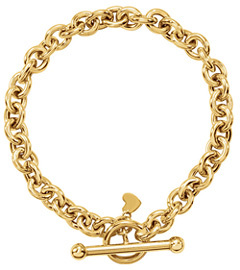 The hearts on the bracelet have a bit of a twist to them, making them appear a bit playful! The bracelet has a width of 8.5mm and weighs approximately 1.63 grams with a spring-ring closure at the end. We guarantee our Alternating Heart Bracelet, 14K Gold to be high quality, authentic jewelry, as described above. 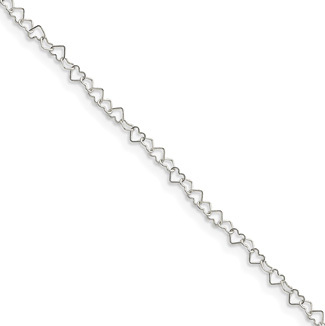 Sterling Silver Heart Link Anklet, 10"